Automatic garage doors are the new norm when it comes to the garage door. Why? The main reason is that they are extremely convenient. If you are worried about your doors breaking down, put those fears to rest because they are also very reliable. Still unconvinced? 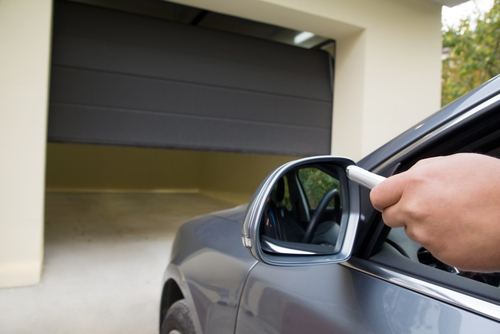 Here are a few reasons why having an automatic garage door is beneficial to your everyday life. Think of the times when you have pulled up to your home and there was so much rain pouring from the sky that even standing outside for a few seconds left you drenched. Or when the temperature was in triple digits and the thought of leaving the air conditioned air was too much to bear. In those instances, having an automatic garage door would save you from having to leave the comfort of your car before you had to. Never be subjected to the elements again with an automatic garage door. While we do not like to think about growing old, it is a fact of life that none of us can escape. As we grow older, we soon experience aches and pains in our joints and muscles. Particularly, in our knees and backs which make it harder to open and close our garage doors. Rather than suffer by bending to lift the garage door, an automatic one can save you the back pain. Imagine walking to your garage with a box full of stuff only to discover the garage door is closed. Having to constantly open and close the door manually becomes a bigger hassle every time you have to do it. An automatic garage will be a helping hand when you need to get in and out of the garage with ease. Overall, the convenience you get from updating your garage doors is reason enough to invest in an automatic garage door. Even updating from an older automatic door is a great idea since the technology has improved over the past decade. They are more reliable and resilient than those of the past. For your garage door needs in Las Vegas, look to Western Door and Gate for all of your installation needs.